The body is programmed to heal any open wound in a specific way. The reparation begins with the production of skin cells and fibroblasts. The skin cells migrate towards the network created by the fibroblasts to close the wound. Usually both fibroblasts and skin cells are produced at the same rate, and the result is a normal scar that fades with time. However, if the fibroblasts reproduce faster than the skin cells, they will form a dense band that impedes the migration of the skin cells to the wound. This anomaly forms a raised scar known as a keloid or hypertrophic scar. What makes these types of scars different? The following article will examine the differences between these types of scars as well as hypertrophic and keloid treatment. Keloid scars are types of scars that grow beyond the area of the original wound. They look like puckered, itchy clusters of scar tissue that rise above the rest of the skin. These raised scars are irregularly shaped and, unlike other types of scars, usually tend to grow larger and more prominent with time. They range in colour from pink to red; and sometimes, become quite large and unattractive. They can also be tender to the touch, itchy and sometimes, painful. On a histological level, keloids are composed of thick and abundant collagen bundles that form lumps deep within the scar. The over production of collagen is what leads to hypertrophic scars. The result of this anomaly is a raised scar like a keloid scar. However, hypertrophic scars are limited to the site of the original wound unlike keloid scars. Compression therapy involves applying pressure to the scar. Studies have shown that applying pressure to the scar leads to the reduction in the cohesiveness of collagen fibres. Compression treatments include ACE bandages, elastic adhesive bandages, compression wraps, spandex or Lycra bandages among others. For a long time, corticosteroid injections have been used as a common treatment to encourage hypertrophic scar healing. Corticosteroids reduce excessive scarring by reducing collagen synthesis, by altering glucosaminoglycan synthesis and by inhibiting the production of fibroblast proliferation during wound healing. Raised scars can also be treated with surgery, cryo treatments and laser therapy. Be sure to check with your doctor to choose the best option for you. 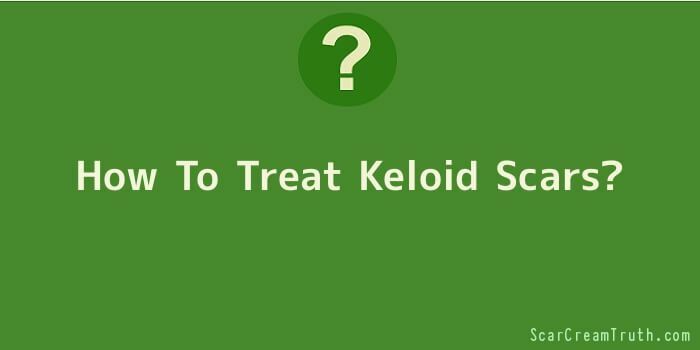 If abnormal scar healing leads to raised scars, you do have several keloid scar removal treatment options. Besides compression therapy and corticosteroid injections, raised scar treatment can include deep tissue massages and skin exfoliation for skin repair.